Easter Weekend brings with it the beginning of April, which also means that ANZAC Day is drawing ever nearer. This is the day, that is a national day of remembrance for Australian and New Zealanders who died during armed conflict. Do you have a story to share about an ANZAC? We'd like to hear about not only their sacrifice, but the way it shaped their family history. Maybe you want to blog from the perspective of those that were left behind? Your story doesn't have to involve a service person who lost their lives - during times of war, all sorts of loss unfortunately are experienced. And you can write about those who served in other wars. Publish your post by 25 April 2013. 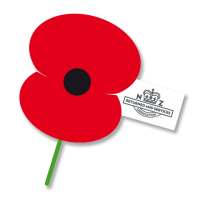 After ANZAC Day, all submissions will be listed in a summary posting on Auckland Libraries' Kintalk blog. Just to get you started, recommended resources for New Zealand and Australian research, see the Auckland Libraries online resources. The virtual exhibition consists of "albums" containing photos/images and documents. Virtual albums entitled "Gallipoli", "Lest We Forget", "New Zealand Maori Battalion", "Peace", "Postcards" and "Returned Services Association". Also has a portal for searching content nationwide from organizations such as libraries, archives, museums and galleries, including Auckland Libraries. Courtesy DigitalNZ. Here's last year's contributions and 2011's summary and blog responses to get you started! 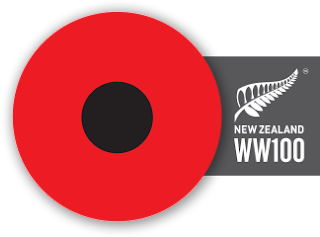 The Ministry of Culture and Heritage is developing projects to assist with commemorations for next year, WW100 is providing a portal for New Zealanders who want to be involved in the commemorations, and NZ History Online provides a place for our school children to go to for homework and study assistance. Its worth considering how else you might want to contribute to commemorating, and ensuring that your stories are collected. Each country will have its own WW100 commemorations, so if your ancestor was involved serving for another country, see what you can find out that country is doing. Have a look at what's going on in the UK. FindMyPastAU and Inside History magazine have a joint initiative to create an ANZAC Memory Bank and invite people to register to be notified of when the site goes live.